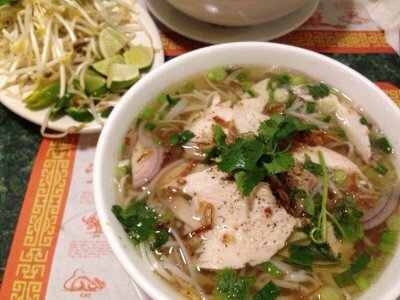 Flat rice noodles served with thin slices of chicken, cilantro, green and fried onions in an aromatic broth. Your choice of grilled pork or chicken, shrimp, and a crispy spring roll served on top of a bed of thin vermicelli rice noodles and greens. Made with real fruit! Flavors: Strawberry, Strawberry Banana, Pineapple, Passionfruit, Soursop, Mango, Coconut Combine flavors or add tapioca pearls for a surcharge. 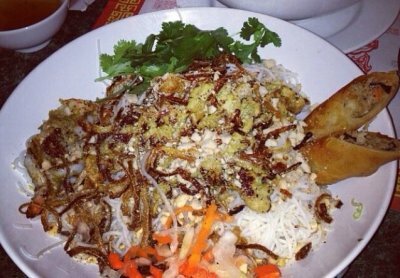 Our restaurant offers authentic Vietnamese cuisine that is healthy, fresh, and delicious! 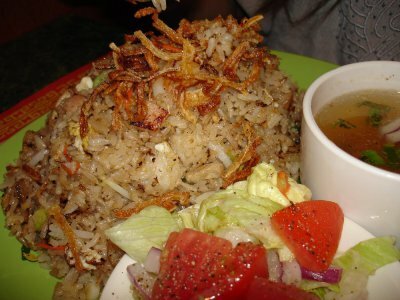 Come enjoy a variety of soups, noodles, rice dishes, and more in a warm and friendly environment. 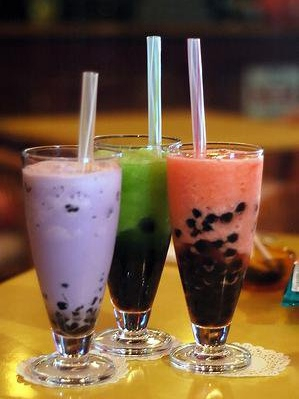 While you are there, have a Tapioca Pearl (boba) drink, refreshing smoothie, or Vietnamese coffee.